Skinny Caramel Frappuccino - What the Forks for Dinner? This is gonna be a real quickie……Starbucks is the bomb for coffee……well, at least Tim and I think so. One of our favorites is the Caramel Frappuccino………but with a Grande coming in at about 380 calories……… yikes! Talk about drinking your calories. 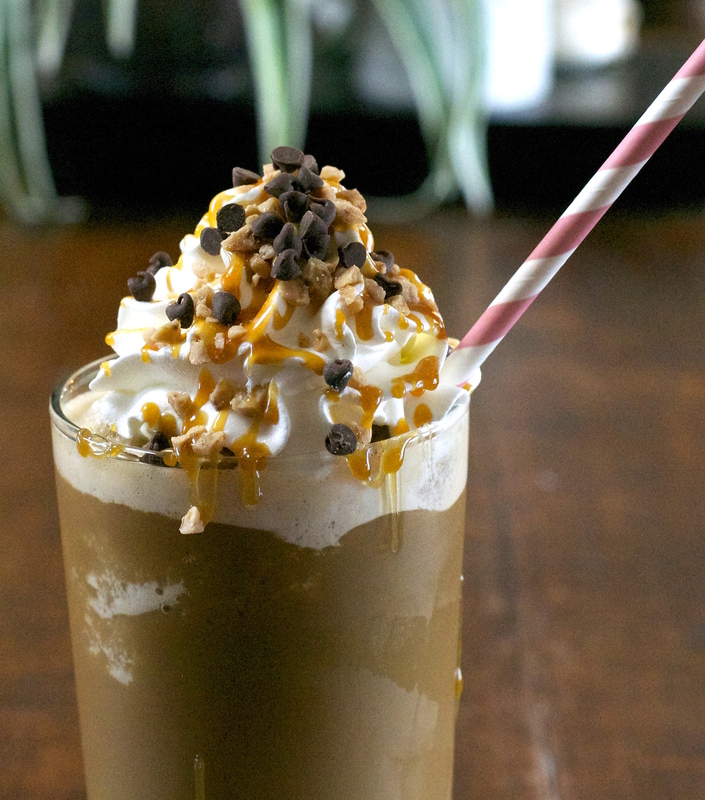 So, when I saw the recipe for Skinny Caramel Frappuccino from Averie Cooks and it boasts only 50 calories…….we were in!! We tried it yesterday, as a light dessert after our Grilled Spaghetti and Cheese Sandwich, which was not light, but totally awesome! 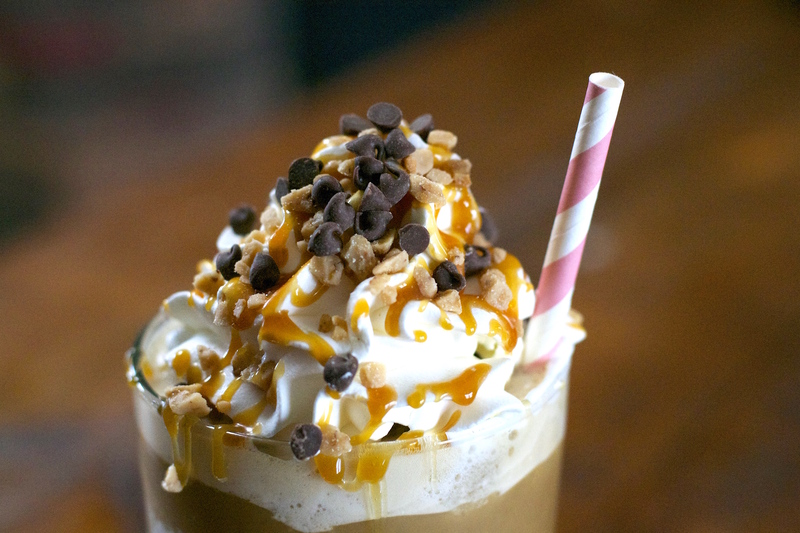 When things are said to be skinny, or light, or low cal, my mind says how good can it be? Well, this was great……..rich coffee flavor, cold and frosty, topped with light cool whip, and just a small drizzle of caramel sauce…….yummy yum yum! I did change up the recipe a bit. 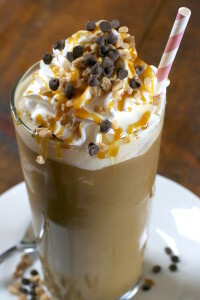 I used instant espresso, instead of coffee, and I did not use sugar-free caramel……I went for the real deal. A few mini chocolate chips, and a sprinkle of Heath bits……..heavenly! I am probably over 50 calories, but I am under 100………for dessert that rocks! 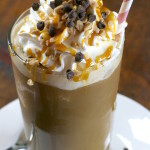 So, thank you Averie for the recipe and if you have a hanker’in for a Starbucks like Frappuccino, that won’t break the bank or your diet, whip up a Skinny Caramel Frappuccino! Combine first 5 ingredients in a blender and blend until well blended, smooth, and creamy. This makes one really large or two regular size drinks.